Red River originates from the ovary Nhuy Son mountain (1776m high) near Dai Ly lake belong Nhi Do District, Van Nam province, China flowing from the Northwest – Southeast typical in Vietnam at Ha Khau (Lao Cai) through 7 provinces in the sea 10 estuary, the main estuary is the Ba Lat estuary(Nam Dinh). Para Red River flows through Hanoi 91 km long, the lower part. Before the French name for the Red River, it has many names. Each locality has a name of its own rivers as Thao river, Cai river, Nhi Ha river, Nam Sang, Hoang Giang … so it is also seen as most rivers have many names. Long time now, the festival of spring and autumn, the Red River again busy drums, gongs of the dragon boat team went out to take the river water procession Mother River (Cai River) on the church and bath statue. River travel is no longer a new form again, but the tourism resources along the river has been confirmed a long and increasingly attractive domestic and foreign tourists. Main trips of this ancient poet default client also imprinted in the legend, in poetry. Red River also is considered a historical mark victories against aggression. The great victory of our people in history are mostly waterborne battles: Bach Dang (938), (981) was a first Tay Ket battle , the second Tay Ket, Chuong Duong, Ham Tu, Rach Gam – Soai Mut (1785) … The area of the Hang Than head slope, head of the Long Bien Bridge (formerly as Dinh Bo Dau) where the glorious battles of the military and people (01/29/1285) dislodge 30000 Mongols army retreat, ending the glorious struggle against the Mongols invaded the 2nd (1285). Dong Bo Dau is the war against the Nguyen army attacked the capital city and people of Tran dynasty. It’s in the distance from the Phuc Xa to Pha Den port now. On which a naval station, a military position are important, where the 108 Central Military Hospital today. Before 1954, it also has a hospital, people called Don Thuy Hospital is so. Yeah! No one won any of the people in the north where the Red River (and the part of it) is not war, not contributed to the victory. Red River is the history of national construction and defense of the people of Hanoi. 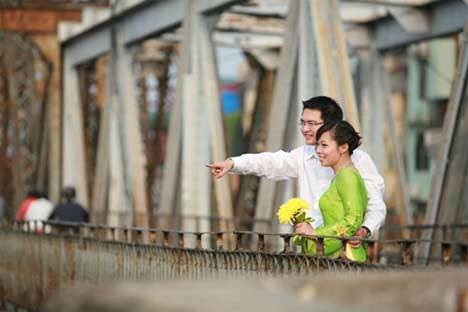 About three or four hundred years ago, the Red River in Hanoi gave the vitality of a commercial center. Goods from lowland follow the Red River back plain, down to shore of the mountainous province, mountainous forest products back plain in the Red River delta. The shore of the Red River had been comparable to the busy ports of Europe, all merchant vessels of France, Japan, Italy, Portugal … busiest in Red River dock in revolutions against the United States, France. 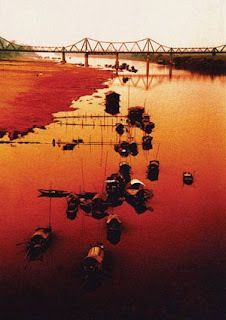 Red River was witness to the sacrifice and the loss of resounding military and people of Hanoi. Tourism resources of the Red River system must include the Vietnamese village. Existed on the Red River variety fishing village with the neighbors, a small fishing village with bold shades of water. 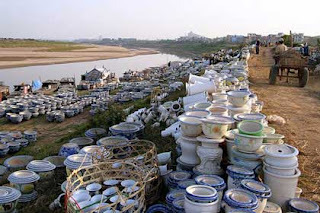 Some villages exist in areas outside the dikes along major rivers, such as Bat Trang pottery village – Once there was a white clay to make ceramic materials, it is also conveniently located for transport waterway. Living outside the main problem is always to make people worry about dealing with flooding, the wetland proficient population, almost always have about then Xam Duong village (Ninh So, Thuong Tin, Ha Tay) is called the Dam village . Red River also features the ruins marked the crystallization of labor. Red River delta itself is the land our forefathers were taken to protect systems to be solidified. This can be compared, the Egyptians are proud of the Pyramid, the Chinese are proud of the Great Wall, the Vietnam also has the right to be proud of the system for his life, the sea around the country, can be compared to Wall Great Wall to prevent the enemy country. With Hanoi since appear to have the Co Xa in the Ly dynasty in XII century (1108) to protect Thang Long capital along the Red River from Nghi Tam to Luong Yen, and Quai Vac dyke… the Red River dike system Hanoi has a long history of more than 800 years. Thousands of years, the Red River was flowing into a very important part of Vietnamese history, which flows into a thousand-year history of Hanoi. It became part of the flesh of the land it crosses, by many generations, of every human being of flesh and blood with it. “Song Thao be an eager bustle wave. According to ancient Chinese bibliographic around before the VI century, the Chinese call this river is Diep Du. 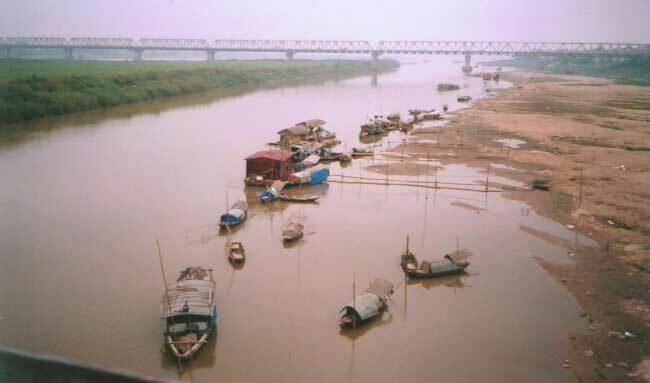 And now China calls the Red River upstream from where the play area is Nguyen Giang or Ma Long Giang. Near to the Vietnam-China border area called the Lien Hoa or Le Hoa. On Vietnamese land, each country has Red River for yourself. From Lao Cai to the Viet Tri, river flowing like silk train between two sides of fan-palm forests and tea hills of Phu Tho should call it the Song Thao (mean as silk). 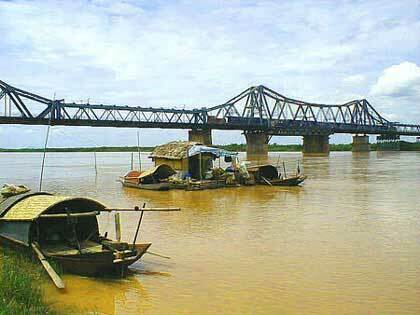 Thao is also a semanteme in Lam Thao, name of a suburban district of Phu Tho district where the river flows through. From Viet Tri Hanoi on the Bach Hac (White Crane) river. Now there are still many elderly are called Cai river, means that Mother river. Mother of hundreds of thousands of other rivers. This is an ancient name from the ancient Vietnamese people have called, perhaps by thinking of matriarchy. The French are very romantic and rational when looking at the alluvium water call it the Red river, the name was officially called to this day. 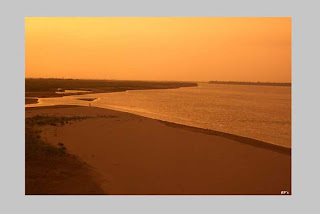 Red river curved to hug Thang Long from Minh Mang dynasty is called Ha Noi (in the river). Love it, peach silk of Red River – lap of orient robe tie round slender legs of Hanoi girl.